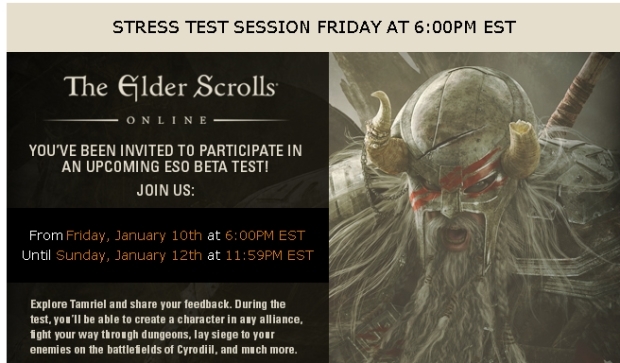 Elder Scrolls Online is sending out a new wave of emails throughout today to invite players to a new stress test coming this weekend, ZeniMax confirmed on Reddit. The new stress test will be running from Friday, January 10, 6pm Eastern until Sunday, January 12, 11:59pm Eastern. If you’ve signed up for beta testing, make sure to keep an eye on your inbox! Current beta testers will be able to access the beta forum tonight.